I really enjoyed my visit with Peter Loubardias, who was my guest on the latest podcast. All Flames fans should be familiar with 'Loubo', who is the colour commentator on Calgary's radio broadcasts. Additionally, he can be heard at noon MT on Sportsnet960's Hockey Central and on the pre-game show prior to every game. Rather than tackle the day-to-day, which tends to change day-by-day, I got into a few more general topics with my guest. 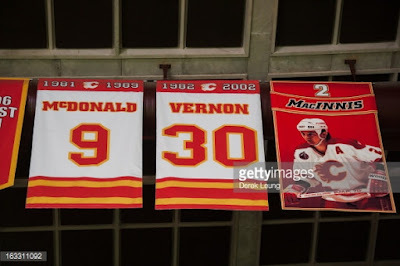 A passionate sports fan, Peter shared his three favourite hockey memories and it's awesome. He also shared some insights into Glen Gulutzan, who has a half-season under his belt. A huge junior hockey aficionado, I picked his brain on skilled but tiny Matthew Phillips. The evolution of the fourth line in the NHL. Where are we at and where are we headed. This is the fifth one done during the season. While initially I had concerns about how long each podcast would remain relevant, the insight my guests have brought and the manner in which we're tackling topics still make them worthwhile listens long after after they're recorded. 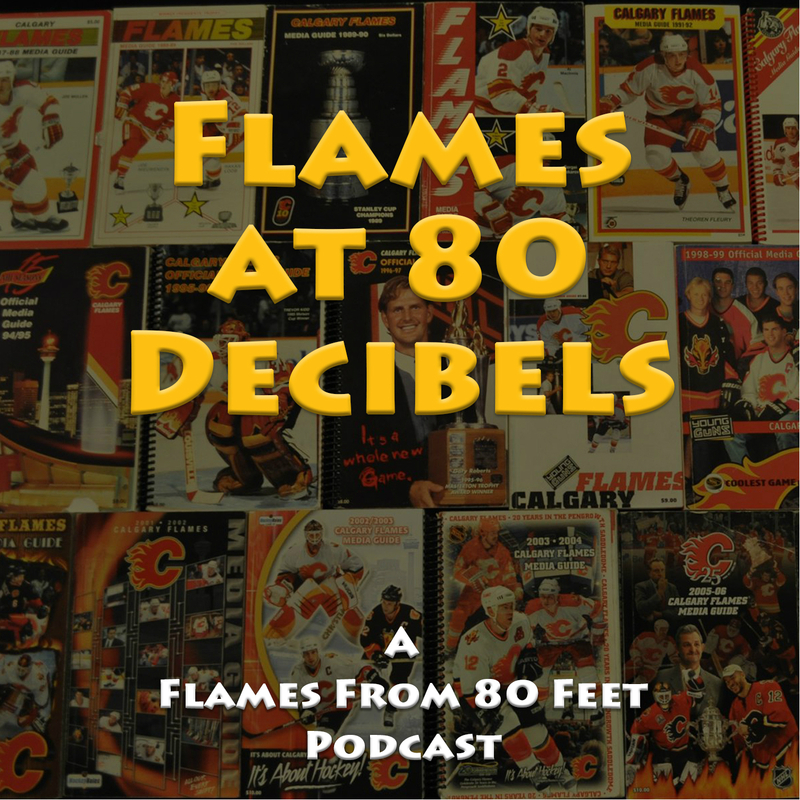 Episode 10 (1:11:40) - On Dec. 23, Aaron Vickers made his way up to my Saddledome studio. Vickers is the brains behind prospect publication Future Considerations and also covers the Flames for NHL.com. We chatted lots bout Calgary prospects at the WJC. 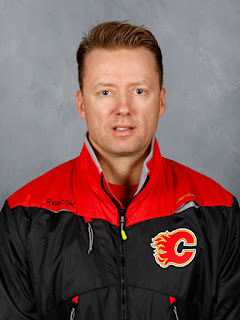 Simmering below the surface for who knows how long now, the first visible indication that first-year Calgary Flames coach Glen Gulutzan was on the brink of erupting came Saturday night. Fresh on the heels of being humiliated 7-3 on home ice by the archrival Edmonton Oilers, signs of smoke were visible as he stepped up to the podium post-game. "I don't talk to the guys after the game, win or lose, I talk to them the next day," Gulutzan told the media. "But certainly in the coaches room, emotions are high. It's embarrassing. Our resolve to stick to it wasn't there." The next day was a flight to Toronto that was followed on Monday by no fight in Toronto as the Flames slinked to a third straight setback, a lifeless 4-0 loss to the Maple Leafs. But after that game, the 45-year-old native of the small northern town of Hudson Bay, Saskatchewan, kept his emotions in check. Trying a different tact, he went down the path of positive reinforcement, pointing out the elements of their game that he liked, however miniscule. But after another uninspiring effort from his club on Tuesday night, a 5-1 shellacking by the Montreal Canadiens, Gulutzan finally blew his top. His fiery Irish temper he says he inherited from his mom's side of the family, finally burst through and the lava was spewing. Oh, he snapped alright. The audio -- and it's well worth the listen -- is available here on Sportsnet960's website. What I thought I'd do for something different is take you beyond the audio. Below is the transcription of his entire rant, broken down into sections, along with relevant background or context that is (likely) the fuel behind each of his scathing points. As you'll hear and see, it's all very valid. 1. "We were pathetic. We were pathetic. It was a pathetic display. No bite back, no kick back. Just accept it." In the last four games respectively, Calgary has fallen behind by scores of 4-0, 5-0, 4-0 and 5-0. Yep, that's pathetic alright. In fact, that could be bordering on record-breaking stuff for futility. But here's the rub. There have been very few signs of anybody being pissed off about it. It's like the Flames are the 98-pound weakling at the beach, getting sand kicked in his face, basically being bullied around, and just taking it. Not getting mad. Not pushing back. Nothing. Against Nashville, the club finally woke up in the final four minutes and scored three goals, but it was too little, far too late. 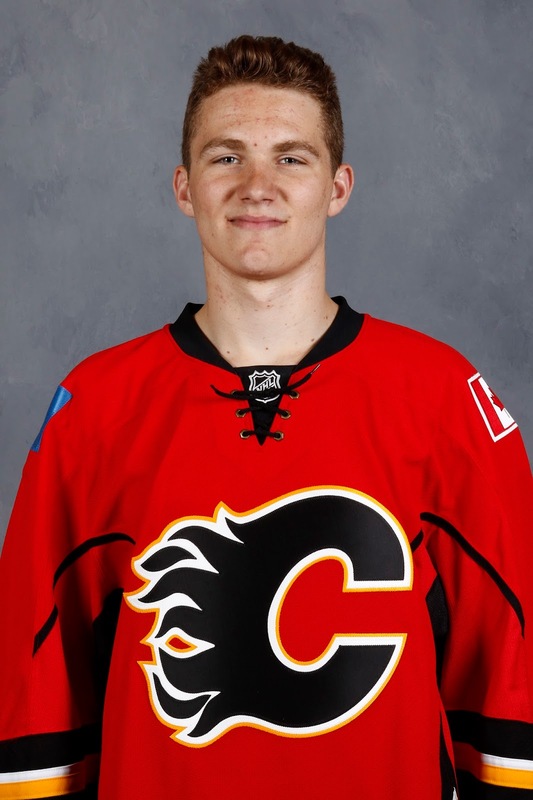 Against Edmonton, rookie Matthew Tkachuk got visibly angry in the third period, eventually getting banished to the penalty box for a dozen minutes for his refusal to go down quietly. But there wasn't much emotion from anyone else. In Toronto, there were a couple roughing penalties near the end of the game -- the 19-year-old kid again in the middle of it -- but otherwise it was a meek response. Last night in Montreal, Deryk Engelland got a little scrappy but again, he was about it. Adversity is different from death. Adversity is adversity. It's about time this club figure that out and start dealing with it, rather than caving as soon as something bad happens. From the start of the game through the 15 minute mark of the third period, Calgary has been outscored 18-2 over the last four games. That's a minus-16 goal differential. Ouch. Sure, the final scores ended up closer than that but who's fooling who. Five of Calgary's seven goals have come in the final five minutes after the games have long been decided. 2. "Our top guys didn't do anything and we need somebody to step up." Sam Bennett did get his first point in 13 games with a goal with 1.1 seconds remaining. But that hardly qualifies as stepping up when it counted. What about some of the other so-called top guys? Johnny Gaudreau is 1-3-4 in last 14 games. He's gone from sixth in the league in scoring last year to a tie for fifth on the team in scoring this year. Troy Brouwer has no points in his last nine games. The veteran hasn't had a point since Dec. 19, before his broken finger. It can't always be the line of Mikael Backlund, Mikael Frolik and Tkachuk that rides in to the rescue. As top guys, the Flames need more from the aforementioned Bennett, Gaudreau and Brouwer. You can add Mark Giordano and TJ Brodie to that list also. The goaltenders mixing in a key save in the early going wouldn't hurt either. Chad Johnson and Brian Elliott combined have given up 19 goals on 99 shots over the last four games. That's an .808 save percentage. Ugly. 3. "It's the same old story. We had the better chances in the first 15 (minutes) of the first." Calgary has been OK to start the game, but the opposition goaltender has been better and the other team has been way more opportunistic (which is code for the Flames goaltender hasn't been as good). The players on this team need to realize the book each night isn't already pre-written. It's very much a choose-your-own adventure and there is still plenty of opportunity for a happy ending, even if you fall behind in the first period. 4. "We extend ourselves on a minute shift. We've got our fourth line out there. They decide to take one more crack at it because they've scored so many goals and they all come off and let them fly into our zone, and catch the other line a little off guard. That's what happened on the first goal." A few things are going on here as Gulutzan talked about the Andrew Shaw even-strength goal at 19:17 of the first period that gave Montreal a 1-0 lead. With the Flames slowly retreating into their own end to get the puck but with no forecheck due to the Canadiens forwards changing, Gaudreau and Sean Monahan choose to head to the bench while inexplicably, linemate Alex Chiasson remains on the ice. Sure enough, Dougie Hamilton's wayward pass slides down the ice untouched for icing. Now Chiasson is caught out with Matt Stajan and Lance Bouma. Montreal wins the face-off and controls the puck in the Flames end, eventually getting a dangerous chance in the slot when Alex Radulov spots Nathan Beaulieu creeping in from the blueline. His quick wrist shot from 30 feet out is blockered away by Johnson. Soon after, the puck is knocked to the neutral zone near the Calgary bench but instead of taking that opportunity to change -- all three were in the vicinity of the bench and you can see the Flames next line standing up and ready with one leg straddling over the boards -- all three opt to head up ice on a rush instead, despite it being a routine three-on-three rush not resembling anything dangerous. Sure enough, it doesn't amount to anything and as they finally head off the ice from deep in the Canadiens end, it allows Montreal to break out clean and fast with tons of open ice. Ten seconds later the puck is in the net with the Bennett-Brouwer-Versteeg line tagged with the minus. It's a bad look for Chiasson in particular. I'm not sure why he never changed and as a result, he ended up with a 1:40 shift. The shift length for Bouma and Stajan was clocked at 0:55. For Chiasson, this is the same guy that Gulutzan benched on Monday night for nearly the entire final period after his foolish roughing penalty 1:33 into the third. Perhaps this was Gulutzan hinting that Chiasson might be soon back on the fourth line where many of his critics -- and there are plenty -- have argued he should have been all along, if in the line-up at all. "They decide to take one more crack at it because they've scored so many goals..."
Chiasson is surely one of the bigger points of frustration because he's had several great chances lately while playing in the top six with Gaudreau. But he hasn't been able to convert. Scoring chances and plays of all kinds frequently seem to die on his stick. 5. "We had our windows to get back in. We spot them one. Johnny bobbles the puck at the blueline, turns it over and it's 2-0. We're on a power play. 1-0 in a road game and on a power play." If it can go wrong, it is going wrong these days for Gaudreau. Given how often he has the puck on his stick, he's always going to be a guy that will turn over the puck more than your average forward but you hope it's most often going to be a byproduct of trying to make something out of nothing such as on a one-on-two rush. But on Tuesday night, with nobody around him, he just blew it at the blueline. He had the puck, was in full control of it, then had it pop right off his stick and just like that, away broke Tomas Plekanec and 14 seconds into a power play where Calgary was hoping to tie the score, they're down 2-0 instead. It looked eerily similar to what Gaudreau did against Columbus a month ago, coughing it up that night to Matt Calvert. Flames trailed 3-1 at the time but were on the power play. Same thing though, a giveaway followed by a shorthanded breakaway goal. Considering he also missed 10 games, that giveaway number is uncomfortably high and it's been costly. 6. "We get a 5-on-3, broken stick, can't even muster a shot. These are things we work on. It's not like we have a bad power play. We're running at 20 percent, top third of the league. But for some reason mentally, we just didn't get a shot to the net." Montreal lead 3-0 at the time but with half the game still to go, Calgary got a great chance to get back into it when a high-sticking penalty to Jeff Petry followed by a tripping penalty by Jacob De La Rose resulted in a two-man advantage for 47 seconds. Further, right off the face-off in the Montreal end, Shea Weber broke his stick. Plekanec gave his to Weber but the result was all sorts of space for the Flames to move the puck around given the high guy in the Canadiens triangle, Plekanec, could not take away any passing lanes. However, Giordano and Brodie as they passed it back and forth at the point seemed uncertain about what to do. First, Giordano nearly gave it away after whiffing on a shot attempt. Then with the puck down low, Gaudreau centered a pass off the skate of Monahan that caromed out to centre. Off for a line change went Plekanec and a glorious chance was squandered. Late on the 5-on-3, Kris Versteeg got the only shot they would muster but it came from a sharp angle and was a routine stop for Carey Price. Calgary falls to 2-for-7 on two-man advantages this season. 7. "You've got to man up. You've got to man up. You play well, one bad thing happens, we crumple. We crumple. Everybody talks about our starts. Our starts? Our starts have been good. One little shot, it goes in, we crumple. We just crumple. We had no resolve to stay with it." As already mentioned in section 3, the last six games Calgary has had good starts. There's been nothing wrong with how the Flames have been starting off in games. But when that first goal against goes in and there's the tiniest bit of adversity, the game completely gets away from them. From that point, they get away from the game plan that makes them successful and subsequently, they are very much unsuccessful. Games are 60 minutes long. That's a lot of time. One goal in the first period, or in the second period, that doesn't change anything. Or at least it shouldn't. But it does, and it's a point of frustration for Gulutzan, who has sounded off about that a couple times lately. That resolve just isn't there. 8. "We've got to look internally here at ourselves, everybody. Everybody in the organization and figure out how we're going to pull ourselves out because the league doesn't feel sorry for you." When Gulutzan looks at himself, one thing that he might need to consider is changing up the lines and pairings. After the Edmonton game, I made five suggestions for tweaking the line-up. They've tried two so far but the other three more impactful moves would be worth a try. Break up the 3M line to put Gaudreau with Backlund and Frolik. Break up Wideman and Brodie. But maybe other help is needed too. Perhaps it's a trade to shake up the club. The Flames do have some pending UFAs that decisions have to be made on soon. That list includes Wideman, Engelland, Versteeg, Elliott and Johnson. There are also options to try in Stockton. Mark Jankowski is having a great rookie season. Is Hunter Shinkaruk worth another look. What about Tyler Wotherspoon? I don't know if you can say anybody in the AHL is 'knocking down the door' right now for an NHL look but desperate times call for desperate measures. What's there to lose? 9. "They're all important. What scares me in your comment is eight in a row. There's a history of streaks and these let-downs." 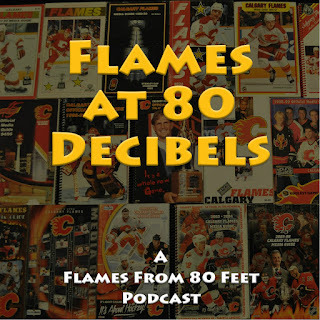 The question posed by Sportsnet960 radio voice Derek Wills was referring to 2014-15 when the Flames were winless in eight and went into Los Angeles in the final game before Christmas. They rallied from a 3-0 deficit to win 4-3 and it ended up turning around their season. They would make the playoffs after a terrific second half. But with their long losing streak last year, that one the year before. That's some bad history where this team has a pattern of a digging a hole for themselves that is nearly impossible to dig out of. It suggests the team isn't mentally tough when things begin to go sideways. When it comes time for 'fight or flight', it's the latter far too often. 10. "We're out of the playoffs now. We sat there for 45 days. We're going to start to play now? Now when it gets easy, that's when we play? That's the concern. What bugs me most is we play when it's easy. We play when it's easy. So, we've got that mentality. You've got to fight out of it." It was the knock on the club last year. They played their best hockey after they were all but officially eliminated from playoff contention. With the pressure off, it's easier to play when you've got nothing to play for. That pattern went for individuals too with former-Flame Joe Colborne the poster boy. Colborne piled up the points in 'garbage time' last year. Sure enough, this season, he's got three goals and four points in 38 games -- all three goals in the season opener. Nothing since. The bigger question is can this group step up in games that matter and win consistently when the pressure is on? We're still looking for proof of that. Even this season's earlier hot stretch didn't come until they bottomed out at 30th and were in the NHL's cellar. That mentality as the coach scoffed, to only step up once the games are easy and no longer matter, is not a formula for success. It was seven seconds of awkward silence that spoke volumes. As embattled Calgary Flames coach Glen Gulutzan stepped to the podium Saturday night to address the media post-game, I started off the proceedings with this question: What tops the concern list out of a game like that? I was referring, of course, to the final chapter in this year's 'Slaughter of Alberta' in which Edmonton swept the season series for the first time in history. Before a rare sell-out crowd at the Scotiabank Saddledome in the most anticipated game of the season, the Flames were run out of the building by their archrival. "I don't even know where to start," Gulutzan began. Then he paused as he mulled over what by now must be a list of concerns the length of my Costco shopping list for today. "I think we have to relook at everything," he finally said, breaking the silence. "But how we play without a lead is probably the top thing on the list." They've had plenty of chances at practicing that lately. Saturday night when Chad Johnson surrendered goals on shots No. 2, No. 3 and No. 4, as Edmonton took a 3-0 lead less than six minutes into the game, it was the seventh straight game Calgary has given up the first goal. In six of the seven, they didn't make it to the 11-minute mark before falling behind. In the last three games, they haven't even reached the five-minute mark. Not ready to play. Not even close. In Saturday's early 'shock and awe' barrage in which Edmonton took an immediate stranglehold on the game, it was the third goal in particular that left Gulutzan dumbfounded. Defending a seemingly innocuous two-on-two rush, Calgary defenceman Jyrki Jokipakka -- as if he suddenly saw a bright shiny object -- abandons his position and makes a beeline across the ice for the puck carrier Benoit Pouliot. In doing so, he completely abandons his man, Jordan Eberle. Pouliot nonchalantly passes the puck over to Eberle and with acres of open meadow ahead of him, he cruises in and whips a wrist shot past Johnson. Suddenly it's 3-0 and there is still 14:02 to go in the first period. "The third one, I don't know what we were doing," said Gulutzan bluntly. "I actually have no explanation for what our D were doing on the third goal. It was a complete mistake." Oh, there were plenty of mistakes to choose from on this night. Plenty. On the fifth goal, Eberle's second, that made it 5-0 halfway through the second period, the Flames exhibited the type of defending you might see while watching atom hockey today at your local community hockey rink and I emphasize 'might'. Even at ages 9 and 10, teams should know better than to have everyone on the ice fixated on and chasing the puck carrier. On this one, Matt Benning had everyone in red focused on him -- yes, I said Matt Benning -- leaving Eberle open in front for a redirect of Benning's centering pass. "Some of the mistakes we're making, are glaring mistakes," conceded Flames captain Mark Giordano. "At this level, it can't happen, especially at this time of year, they just ate us up tonight." I would have loved to have been a fly on the wall in Calgary's coaches office after that game. The smoke that would have been billowing out of that chimney. My goodness. "It's embarrassing. It's embarrassing," said Gulutzan, echoing himself as well as the feeling from fans across Flames nation. "I don't talk to the guys after the game, win or lose, I talk to them the next day, but certainly in the coaches room, emotions are high. It's embarrassing. Our resolve to stick to it wasn't there." The season has not yet gotten away. Calgary still woke up Sunday morning sitting in second place in the Western Conference wild card race. However, sort by the more telling points percentage that incorporates games played and the Flames are now fourth, behind Vancouver and Los Angeles. It sure feels like the season is getting away. This raises the question of what next? I expect that is the question weighing heavily on the mind of the entire Flames front office on Sunday, a travel day for the team as they fly to Toronto for a three-game Eastern road trip that begins Monday night at the Air Canada Centre and will be followed by stops in Montreal on Tuesday and Ottawa on Thursday. By "relook at everything" as the fuming Flame coach vowed on Saturday night, what might that look like? Since we won't begin to know until Monday when Calgary hits the ice at the ACC at 9:30 am MT for its game-day skate, we're left to speculate. With three games to go until the all-star break and with all three being difficult assignments -- all three opponents locked in playoff spots in the Eastern Conference -- now might be the time to experiment at least a little. For much of the season, the Flames have been a one-line team. It's been the vaunted trio of Mikael Backlund, Michael Frolik and Matthew Tkachuk, and then everybody else. You can't win as a one-line team, no matter how good that one line is. The obvious risk in breaking up one of the best lines in the NHL is you end up with zero lines going, but the potential reward that makes it at least worth pursuing is you end up with two lines going and while zero is worse than one, two is twice as good. It seems completely wrong that a 19-year-old kid is the key variable in this but once again he was one of the handful Saturday night that seemed to care, who seemed determined to not just stand around and accept sand being kicked in his face. 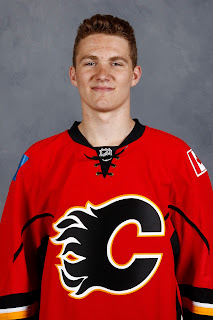 I would move Tkachuk up with Sean Monahan and Troy Brouwer, The hope would be that Tkachuk will drag Monahan and Brouwer into the game, as he tends do with whoever his linemates are -- and both of them could use the jumpstart. Sure, Monahan is scoring again lately -- a five-game goal-scoring spree is second only to Nashville's James Neal (6) for the NHL's longest this season -- but more fire, more emotion from the 22-year-old would raise his game to an entirely new level. We're talking about a guy that is 6-foot-3 and over 200 pounds. When you're often playing beside Gaudreau, who is regularly treated like a pinata by the opposition, and you're built like Monahan is, you need to get your nose dirty far more often. That's part of your job. Meanwhile, I would drop slumping Johnny Gaudreau onto the left side of the Backlund-Frolik line. Backlund-Frolik as a pairing has been an effective duo for a long time. With Gaudreau mired in an awful funk -- one goal and three assists in his last dozen games -- he looks frustrated and doesn't appear to be enjoying the game like he normally does. Maybe playing with two guys having tremendous seasons will rub off and get him back headed the right direction. I'm not sure the heavy lifting asked of the Backlund line is the right long-term relocation for Gaudreau but to help him get reset, it's sure tempting to try in the short-term. 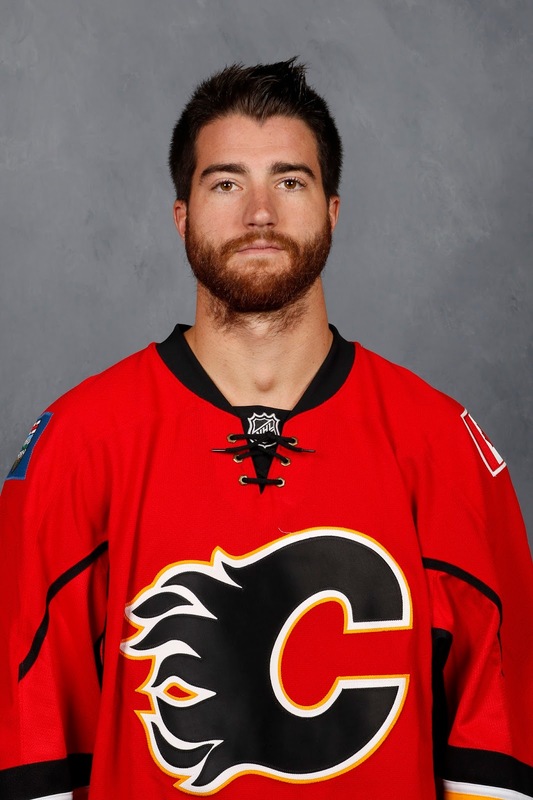 TJ Brodie is a better defenceman than we're watching right now. Way better. The last few years were not an anomaly, Brodie has shown that he can be one of the most dynamic defencemen in the league. Using his blinding speed, he can be up ice, joining (or leading) the rush in one moment and then be the first guy back seconds later. That dynamic nature of his game that made him one of the NHL's rising young stars on the blueline not that long ago has completely evaporated and you wonder how much of that has to do with his defence partner, Dennis Wideman. Wideman's foot speed is frighteningly slow given today's light-speed NHL and as a result he has become a defensive liability at five-on-five. This sure seems to be impacting Brodie, who perhaps doesn't feel he can play the same way as he has in the past when paired with a steady and more reliable partner like Giordano. For me, I want to get Brodie back into a similar setting in which he's enjoyed success in the past. That means a different D partner that is a better skater. Also, I am determined to get him back to where he's been most comfortable his entire career and that is playing the right side. It may not be his natural side in respect to how he shoots, but he's stated in the past he's more comfortable on that side, and if that's the side he's played throughout his career, than that's how I'd define his 'natural side'. Not wanting to break up the Giordano pairing with Dougie Hamilton, I move Brodie to the right side alongside the left-shooting Brett Kulak. Early in the season as his game seemed to get better and better, Kulak looked like he would never come out of the Flames line-up again. Then the defenceman's game went through a rough patch, which isn't unusual for a 23-year-old, and he eventually ended up back in the minors to build himself back up. He's been back in the NHL for over two weeks now but all seven games since his January 9 call-up, he has been left gnawing on overly salty press box popcorn. The time to insert him into the line-up is long past due. There are multiple options that Calgary could pull out of the line-up to make room for Kulak. Jokipakka, as mentioned earlier, is an obvious one. Wideman would certainly be another. The latter, a pending UFA in his final season as a Flame, has twice already this season been pulled out of the line-up for multiple games. There was a three-game absence in October. Then came a four-game string of healthy scratches in November. Might a third stint be forthcoming? It wouldn't be unwarranted. Considering they haven't been playing Kulak at all, inserting him into a third pairing role is the more likely landing spot for Kulak, if they play him at all, but I'd sure be tempted to move him straight into the top four and try him with Brodie. Last weekend in what I billed the biggest game of his season, Brian Elliott delivered for 65 minutes. In Edmonton last Saturday, the veteran made 26 stops including six in overtime. Only Patrick Maroon's first period power play goal beat him before the Oilers eventually won 2-1 in a shootout. 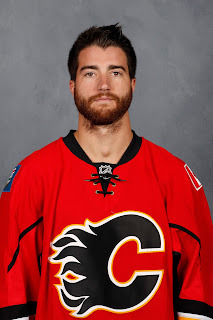 For that effort that backstopped a solid all-round game played by Calgary, Elliott puzzlingly found himself wearing a ball cap to start each of Calgary's three games in the homestand that followed. Meanwhile, Johnson has struggled mightily of late. In his last two starts, he's given up seven goals on 25 shots. On the homestand, he had a .809 save percentage. In the first period alone, his SV% was a dismal .667. You traded a second round pick to get Elliott for a reason. You kept going back to him as your No. 1 goalie to start the season for a reason. It's time to give him the same amount of leash that Johnson has got lately. Who knows what the goalie picture will look like next season, but for right now, it's time to turn back to Elliott and give him another opportunity to see if he can get back to being the outstanding goaltender that he was last April and May when he helped the the Blues dispatch of the Chicago Blackhawks and then the Dallas Stars in the playoffs. There are all sorts of things the Flames could do, and maybe will do come February, but with three games to go until the all-star break and a five-day break to reset, there may be a limit to the extremes of any shake-up we see this week. In the above scenarios, I still have scuffling Sam Bennett playing centre on the third line. Put Kris Versteeg on one side and try Micheal Ferland on the other. Or put Bennett on the wing with Matt Stajan and Versteeg, that might be something to try also. Mark Jankowski's hat-trick on Friday night makes the Stockton Heat leading scorer someone that you wonder if GM Brad Treliving is considering recalling. But again, that call-up is likely to wait for now. Heck on the back end, I'd bring back Tyler Wotherspoon and insert him on the blueline as well as Kulak. Wotherspoon and Engelland on the third pairing while Jokipakka and Wideman sit? Why not. You really wonder what Calgary's line-up would have looked like against Toronto if Gulutzan was forced to declare such in the fresh aftermath of Saturday night's debacle. What we do know is change is needed and quickly or that six weeks of tremendous hockey the Flames played from mid-November through the end of December to get themselves back into the playoff race, will have all been for naught. The Flames and Oilers in a meaningful hockey game in January. It hasn't happened very often. In fact, tonight when the two sides clash at Rogers Place will be the first time in nearly eight years that Calgary and Edmonton have met this late in the season with both teams in a playoff spot. 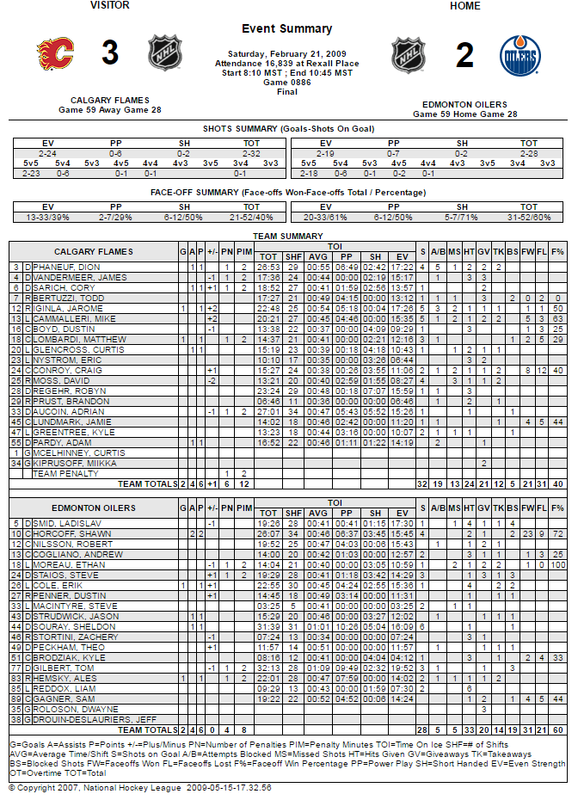 The last time the provincial rivals met in that type of setting was at Rexall Place on Saturday, Feb. 21, 2009. As astonishing as that sounds, it's also not all that surprising considering not very often in the last two-and-a-half decades have both teams been good at the same time. Only once in the last 25 years (2005-06) have both have made the playoffs in the same season. To give you a sense of how long ago the last late-season meaningful Battle of Alberta was, not one player that appeared in the last one remains with the team today, or at least not in a playing capacity. Going into that showdown -- game No. 59 for both teams -- Calgary (34-18-6) sat atop the Northwest Division with a comfortable eight-point lead on Vancouver. Twelve points back of the Flames and clinging to the final playoff spot in the Western Conference was Edmonton (29-25-4). By clinging, I mean it. The seven teams behind the Oilers were all within five points, beginning with Anaheim, just one back. 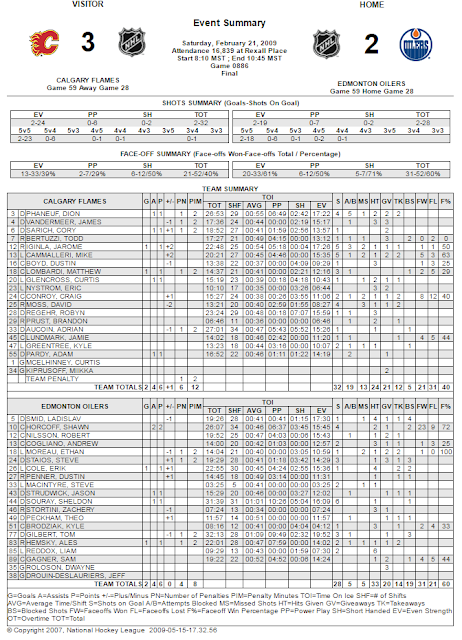 Calgary won that night 3-2 in a shootout. Erik Cole had the only goal of the first period to give Edmonton a 1-0 lead. Jarome Iginla, converting a stunning Bobby Orr-like set-up from Cory Sarich, tied it in the second period. In the third, Ales Hemsky scored 1:46 in but with 1:05 remaining and Miikka Kiprusoff pulled for an extra skater, Matthew Lombardi snapped a shot through a screen that beat Dwayne Roloson just under the crossbar. In the shootout, Todd Bertuzzi shot first and beat Roloson with a nifty one-handed backhand and that would be it. Sam Gagner, Robert Nilsson and Hemsky each failed to get a shot away on Miikka Kiprusoff. After that game, Calgary went on to win won four of its next five to open up a 10-point gap on the Canucks as of Mar. 6. But it would not be enough. A 7-11-0 finish while Vancouver went 12-5-2 over the final five weeks cost the Flames the division title and resulted in a 4-5 match-up with Chicago in round 1. That series was won 4-2 by the Blackhawks. Calgary missed the playoffs the next five seasons before finally returning to the post-season in 2014-15. As for Edmonton, they lost just twice in regulation the next month going 6-2-4. With three weeks to go, they were in a playoff spot and had a four-point cushion to work with. But they lost eight of their final 11 to fritter that lead away and finish six points out. That's as close as they've finished lately and by a long shot. In the seven seasons since, they've missed the post-season by 33, 35, 21, 10 (lockout-shortened 48-game season), 14, 25 and 17 points respectively. While none of the players in uniform that night in 2009 are still with the team, one player on the roster still is. Mark Giordano was a member of the Flames but he did not play that night as he hurt his shoulder injury two nights earlier in a collision with Minnesota's Cal Clutterbuck. He would end up having season-ending surgery. Playing defence in his place was Jim Vandermeer. Of the 40 players in uniform that night, only a handful are still in the league. For the Flames, Jarome Iginla (Col), Mike Cammalleri (NJ), Dion Phaneuf (Ott), Adam Pardy (Nsh) and back-up goaltender Curtis McElhinney (Tor) are still kicking around. For Edmonton, Kyle Brodziak (Stl), Andrew Cogliano (Ana), Sam Gagner (Clb), Tom Gilbert (LA) and Ales Hemsky (Dal) are still on NHL rosters. Once considered by many the best rivalry in the NHL, the Flames and Oilers met in the post-season five times in the span of nine years from 1983 to 1991. For me, I was age 13-21 during that time and it was an absolutely glorious time to be a hockey fan. But tragically, there hasn't been a post-season Battle of Alberta since. That last playoff game between these two sides was played at the Saddledome on April 16, 1991 and it is a memory that haunts longtime Flames fans. With the opening round series tied 3-3, Calgary opened up a commanding 3-0 lead, only to see the Oilers storm back with four unanswered to take their first lead. The Flames got the tying goal late in the third from Ronnie Stern but lost 5-4 in overtime on Esa Tikkanen's third goal of the night at 6:58 that gave Edmonton the dramatic series win. It was a heart-breaking, punch-to-the-gut setback for the home side. As bitter as Flames fans likely still are, it's a game worth re-visiting via the brief highlight package below. If you're in your 20s or early 30s and have no recollection of it, just listen to the continual roar in the building that night. Man, what an atmosphere. Could there be a Flames-Oilers meeting in the playoffs this season? That's asking a lot. For that to happen in the first round, there's just the two scenarios of course. In one, Calgary or Edmonton would need to finish in top spot in the Pacific Division. That's a big ask. Just as unlikely is both teams finishing ahead of two California teams in order to meet in a 2-3 match-up. While still a long shot, the odds are probably better of a second round match-up although that would require the dominos to fall just right. It's incredibly sad to think that if you're under the age of 35, you have nothing but a vague, distant memory at best of watching a Flames-Oilers playoff game. 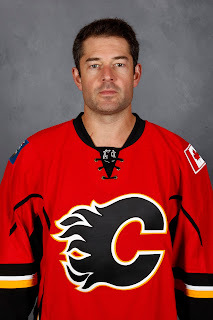 The oldest player on Calgary's roster today is Deryk Engelland, 34, who coincidentally was born in Edmonton. He would have been nine years old during that 1991 series. What do you remember from when you were that age? Probably not much. The game has changed so much that the rivalry will never be what it was back in the 80s and early 90s where blood on the ice and jam-packed penalty boxes were a regular thing. But that doesn't mean it can't still be intense and compelling in its own way. The Oilers with lots of young skill in Connor McDavid, Leon Draisaitl, Ryan Nugent-Hopkins and Jordan Eberle. The Flames with much of the same in Johnny Gaudreau, Sam Bennett, Sean Monahan and Dougie Hamilton. Is there less edge? Absolutely, but there's still plenty of snarl in the likes of Darnell Nurse, Milan Lucic, Matthew Tkachuk and Troy Brouwer. As you're watching the game tonight, let your imagination wander to when these two franchises finally do meet once again because sooner or later, and hopefully sooner than later, it's going to happen and it will be fantastic. Both teams are finally heading the right direction at the same time. Both have young cores that should make success sustainable for the next several years.